Budget soft feel A5 notebook with elastic closing band and internal bookmark. Contains 80 lined pages. 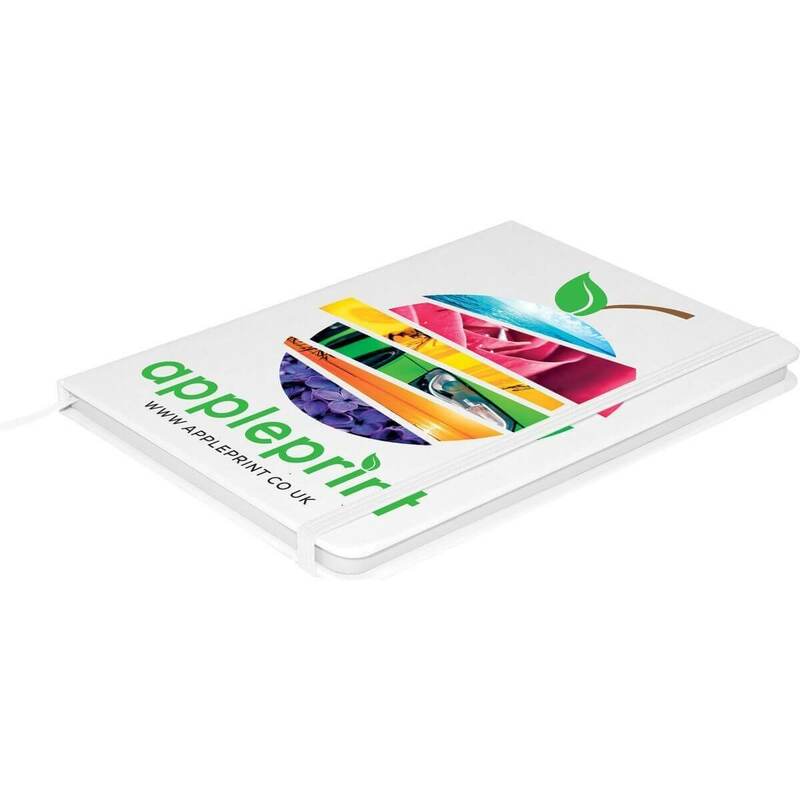 If the A4 notepad is the staple of every office then the A5 notepad is the super useful little sibling. Branded A5 notepads fit perfectly in laptop bags as well as handbags and smaller work bags. This means it can go anywhere and be ready to show of your corporate branding in any business location from café meetings to big corporate boardroom pitches.